We quietly released Uji Sencha Fukamushi last year. Uji Sencha Fukamushi is not an ordinary Fukamushi sencha. In Japanese, the “fukamushi” means deeply steamed. 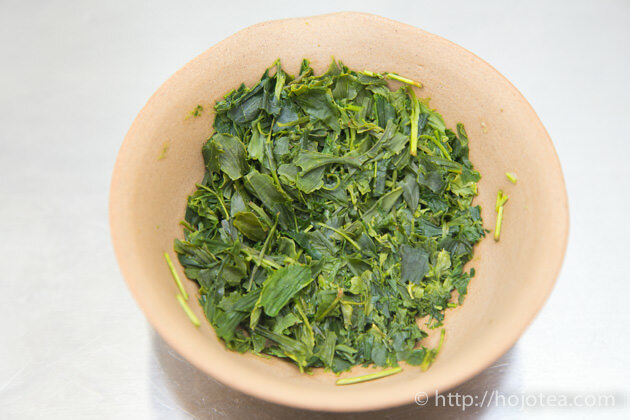 Fukamushi sencha is produced following the standard process in making a sencha, but a longer steaming process is conducted compared to ordinary sencha. 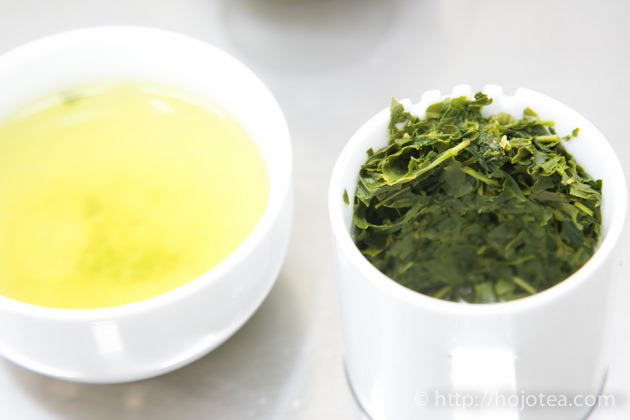 The sencha is steamed for about 20-30 seconds, while the fukamushi sencha is steamed for more than 1 minute. Generally, fukamushi sencha contains very fine tea leaves as a result of heat destruction caused by the longer steaming process. 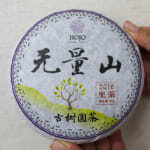 The Uji Sencha Fukamushi is not a pure fukamushi sencha. It was blended between sencha and fukamushi sencha. Our aim in blending is to balance the cup characteristic in terms of after taste, body and mouth feel. We have selected 3 different types of tea to represent each characteristic. Uji Sencha Fukamushi has a typical thick mouth feel of a fukamushi sencha as well as strong after taste which is typical of a natural-farmed tea. 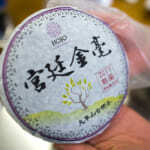 In addition, the flavour of this tea widely spread on our palate thanks to the thick body. The body is the horizontal sensation on palate. When tea has a strong body, the flavour becomes richer and the sweetness remains at the side of our mouth. 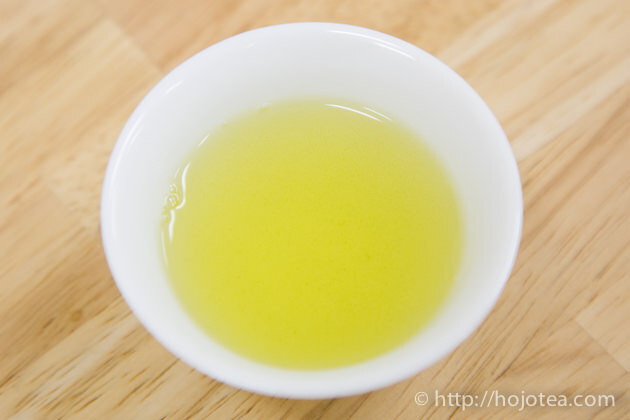 Normally, most of Japanese green tea has very less body. It is due to the absence of stem. Unlikely to the old tradition, nowadays most of the tea manufacturers work very hard to remove tea stems on account of the consideration of the appearance: they do think that tea leaf without stem looks more beautiful as it gives homogeneous dark green colour. Ironically, it is the stem that gives body to the taste. 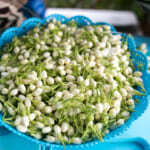 You may imagine some vegetables such as celery, spinach, spring onion or any brassica plant. It always is the stem that gives sweetness. The stem of vegetable gives more sweetish taste not because of the existence of sugar but the body. 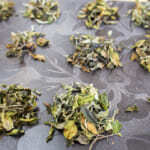 If you have ever tried Karigane (the Japanese sencha made of stems), you would probably understand what I mean. Karigane is a tea contains only stem. It gives extraordinarily strong body. 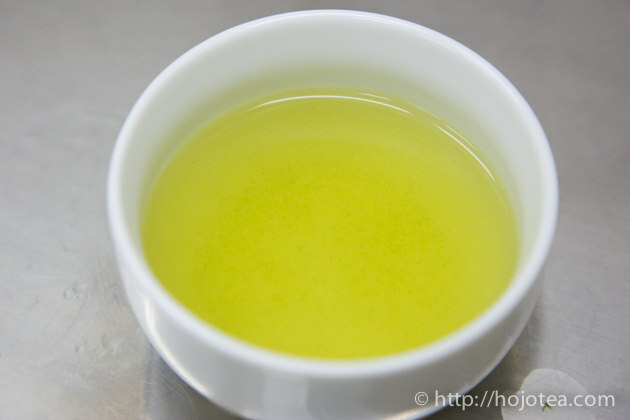 For most of Japanese green tea, the stem is removed with colour sorting machine. You could hardly find stem in so-called quality Japanese green tea. 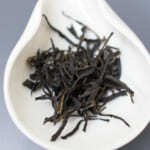 As we were aware of the importance of stem in taste, we have never remove stems so as to increase the body of tea. The after taste can be explained as long lasting taste, lingering taste, longer finishing, smoothness, softness or transparency. It is the vertical sensation we feel it through the throat to chest. Generally, most of Japanese green tea lacks the after taste. It is due to the modern agricultural practice; farmers apply excessive amount of fertilizer in order to increase the theanine content. The theanine is the substance which gives umami sensation, a taste very similar to the taste of so-called Ajinomoto. 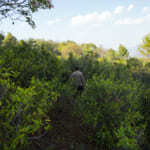 With the addition of fertilizers, tea trees synthesize theanine in order to accumulate excessive nitrogen content. 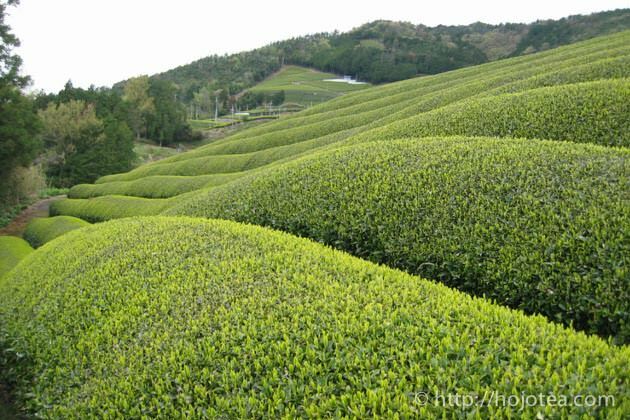 The tea garden managed with the modern agricultural practice generally produces tea which is rich in amino acid. On the contrary, the quantity of poly phenol is in inverse proportion to the quantity of theanine. The naturally-farmed tea produces much higher content of poly phenol, and it gives stronger after taste. 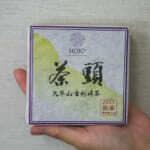 We have selected Uji Sencha Jubuzan to represent tea that is in-charge of the after taste. 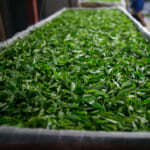 The naturally-farmed sencha gives a very deep after taste. It gives clear and transparent sensation when we drink. I wanted to add in the thick mouth feel on the top of the deep after taste. That is why I decided to blend Ujidawara Fukamushi sencha. Ujidawara ( 宇治田原）is one of the towns produces quality Uji sencha. After blending 3 types of tea, we managed to balance three essential sensations in taste. Thanks to the adequate level of after taste, body and mouth feel, you would feel a three dimensional sensation. 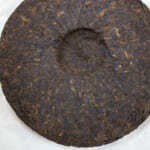 Since this tea is very rich in minerals, we suggest high temperature and short brewing method. For our own brewing, we use boiling water and brew less than 20-30 seconds.